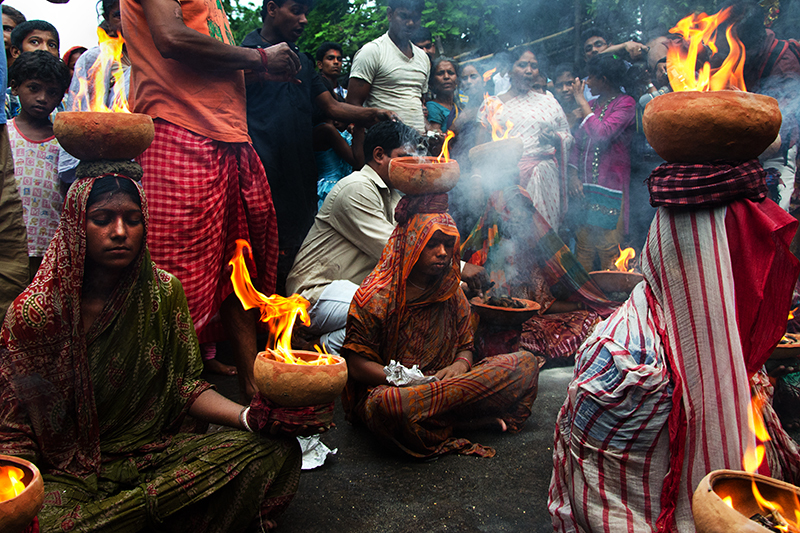 Caption: Women are keeping the hot fire-pot on bare hand and head during a religious occasion and others are spreading the flammable resins to burst the fire. It is believed that the flare of the fire purifies the body and soul of the devotees and their families. Copyright Notice: Â© Monidipta Saha. All right reserved. Unauthorized use or reproduction for any purpose is prohibited.